This Christmas I am changing it up a bit. After two years of white and neutrals for my Holiday decor, I am ready for some color. 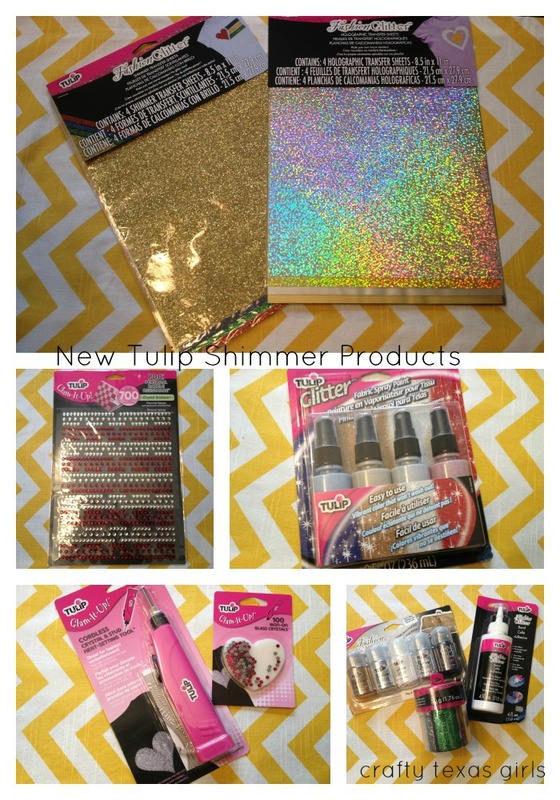 So after purchasing some red chevron fabric online and then getting an amazing box full of glittery supplies from Tulip Shimmer, I was ready to create my first Christmas craft of the season. 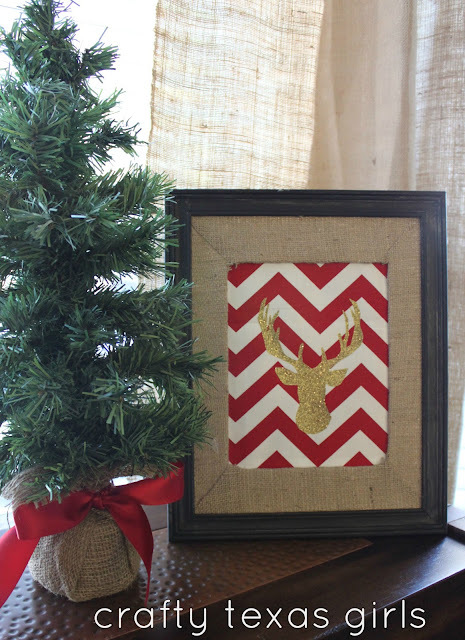 For those of you who have been following this blog, you know how I feel about Chevron. LOVE! So you can imagine my excitement when I was able to pair my new red chevron with these beautiful Shimmer Sheets from Tulip. It didn't take me long to decide that I wanted to use the Shimmer Sheets to make my own DIY Glitter Reindeer Art. 1. No mess glitter! You can create beautiful glittered crafts without getting glitter all over your house. 2. No fancy 'cutters' or machines required. Although the Tulip Shimmer Sheets are easily used with those cutters, you don't need one! So if you are like me and don't own a cutter-- all you need are your scissors! 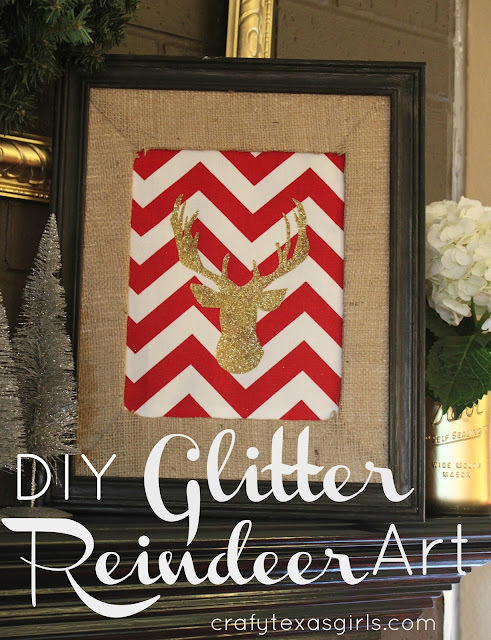 Want to make your own DIY Glitter Reindeer Art? 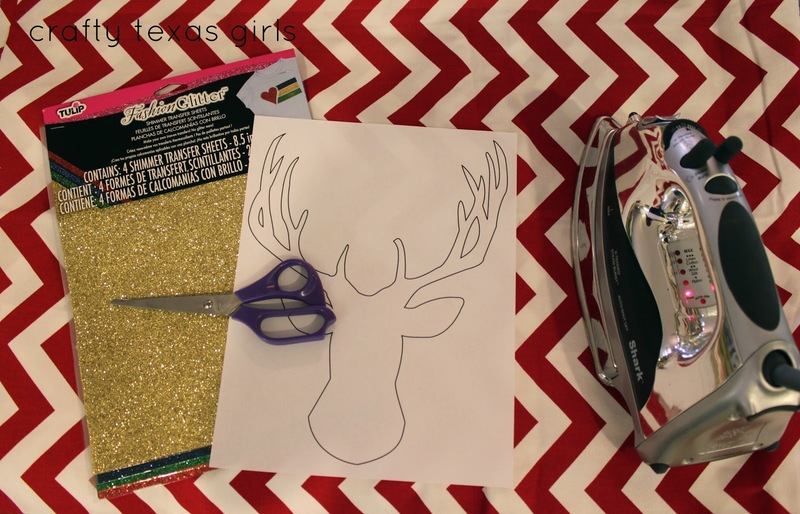 Step 1: To begin, I searched online for a reindeer silhouette to use as my pattern. I found this great one at ManMade. I printed out two sizes and once I got started and did a little measuring with matting, I ended up using smaller one. Step 2: Like that burlap matting? I had it from a previous project and decided to put it around my glitter reindeer. 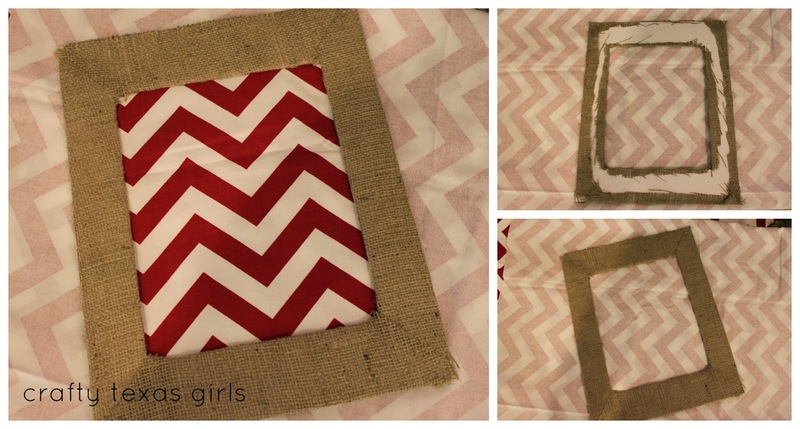 You can add this detail quickly by simply covering a plain piece of matting with burlap and hot gluing the ends to the back. I love the texture and color that the burlap adds to this art. Burlap and chevron-- LOVE! Step 3: Then I placed the pattern on top of the Tulip Shimmer Sheet and held it into place using a few pieces of tape. That way, the pattern didn't move around while I cut. Then I simply followed on the lines, cutting both the paper and the shimmer sheet together. 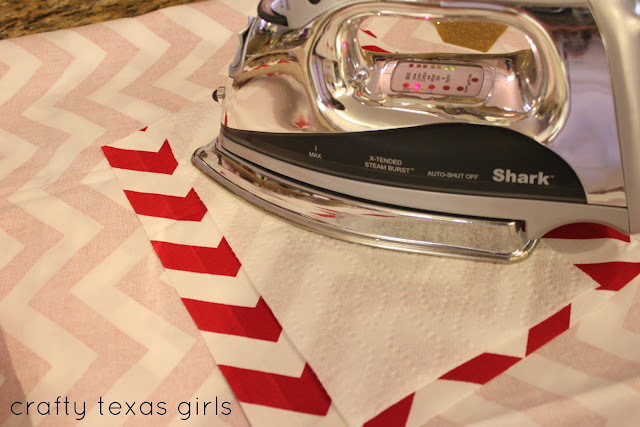 Step 4: Once my glittery reindeer was cut out, I simply ironed him down to the chevron fabric. I placed the Shimmer Sheet on the fabric (non-glittery side against the fabric) and then put a thin cloth or paper towel between the glitter and the iron. After about 45 seconds, I picked up the iron and double checked to make sure my reindeer was securely attached to the fabric. If you have any parts that didn't adhere the first time, just re-iron. Step 5: Display! After trying him in a few spots, my new DIY Glitter Reindeer Art is now proudly sitting on my mantle. I will be sharing the rest of my Christmas decor and some more fun 'shimmery' projects throughout the entire month of December- I hope you will join me! A special thanks to Tulip Shimmer for the amazing craft supplies. Disclosure: I wrote this post as part of a paid campaign with Tulip Shimmer and Blueprint Social. The opinions in this post are my own. And to see what other bloggers are crafting with Tulip Shimmer products, check out the links below. This is such a great statement piece. I am in love with these shimmer sheets. Oh how i love the mix of glam and modern... super chic Christmas decoration! Chevron, glitter, and burlap. Can you go wrong? The red and white chevron is just darling! I just made a pillow with the same(?) reindeer head on it. So much fun. I love your reindeer art! Found you at Centsational Girl's Holiday Linky. Have a great weekend!